No matter what mobile means to you, the DocketPORT 667 can handle it. Whether you're on the road capturing business cards or in a hospital scanning patient IDs on a mobile cart, the DP667 has the compact size and USB power to go everywhere. 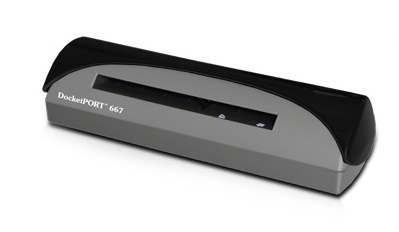 The DocketPORT 667 is designed to handle serious workloads. Inside, you’ll find high quality imaging hardware that captures quick, clear images of identification and insurance cards. Outside, you’ll find a durable shell that stands up to continuous use. 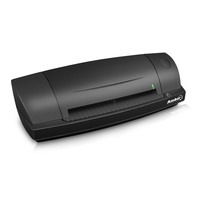 At just three seconds per scan, the DocketPORT 667 makes quick work of capturing any card. Identification, insurance and business cards are handled easily, along with credit cards with raised characters. Quit wasting time with flatbed scanners. Get the right tool for the job. 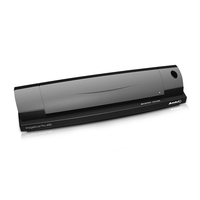 Designed with a wide range of implementations in mind, the DocketPORT 667 comes with an enhanced TWAIN driver, which easily facilitates communication with any computer or thin client station. Simply plug in and start capturing images immediately. - Ultra-Compact Footprint – At about the size of a stapler, the DP667 takes up far less space than flatbed scanners. - USB Powered Convenience – Because it's powered by your computer's USB port, you'll never search for an outlet or carry a bulky AC adapter again. - Professional-Grade Quality – Durable and reliable enough for high volume environments such as hospitals, banks and busy points of sale. - Straight-to-PDF Scanning – With included DocketScan image acquisition software, users can scan directly to industry-standard PDF format. - AutoContinue Function – This DocketScan feature allows you to continuously feed media, meaning stacks of ID & insurance cards can be scanned quickly. - Portable and Compact – Light weight and small footprint make it the perfect travel companion. - Broad Compatibility – The included TWAIN driver ensures compatibility with thousands of software applications and hardware systems. - 1-Year Limited Warranty – Includes complimentary technical phone support and limited parts & labor coverage.